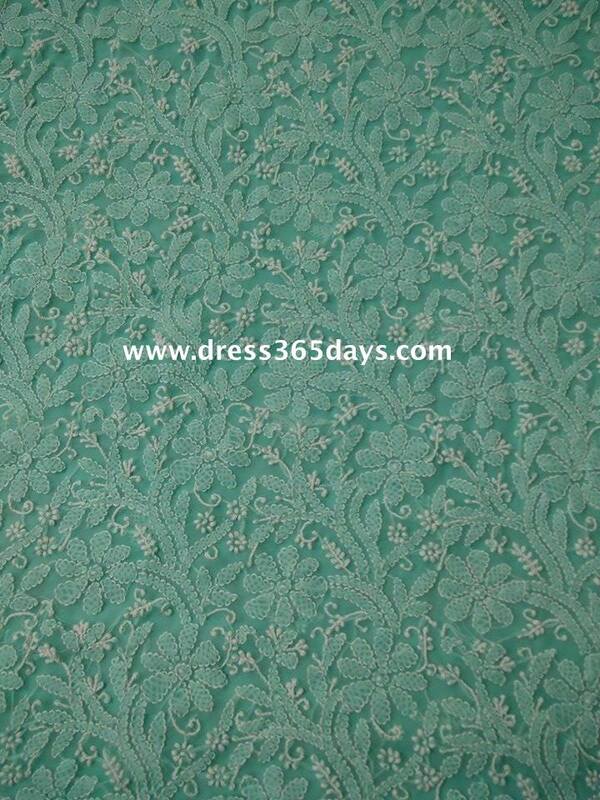 Faux Georgette or Semi Georgette is a flowy transparent fabric woven from rayon or polyester. 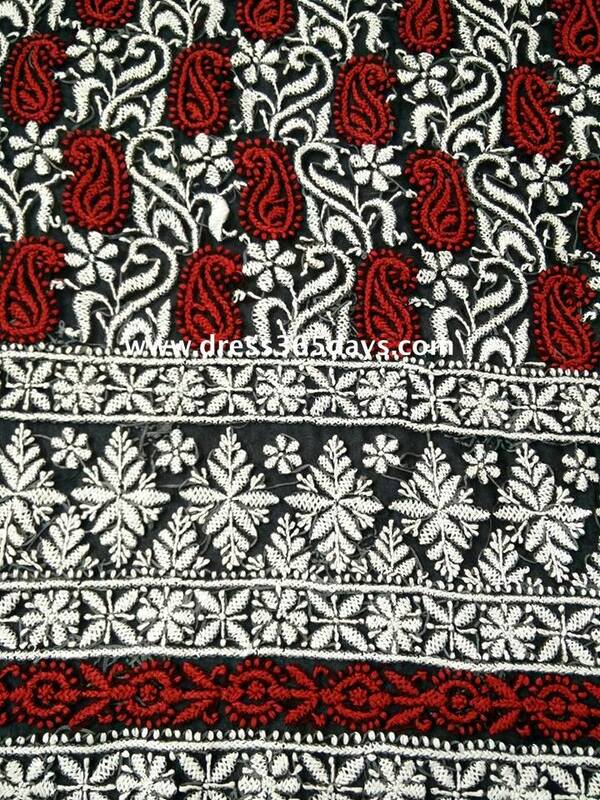 These are very light and comfortable to wear. 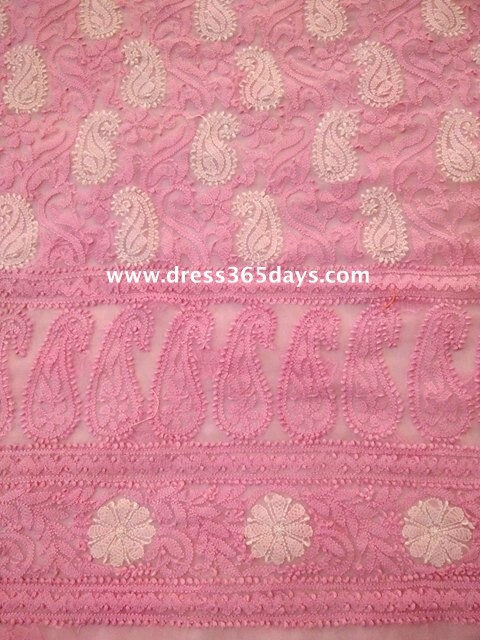 Chikankari Embroidery on Georgette fabric is very much in demand these days. 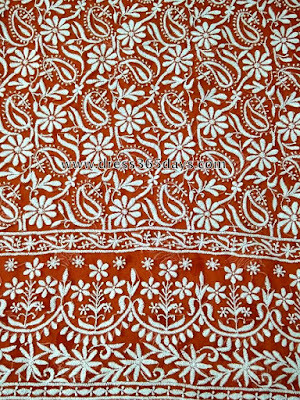 Thanks to the actors who are seen wearing in movies like Youngistan and Two States. 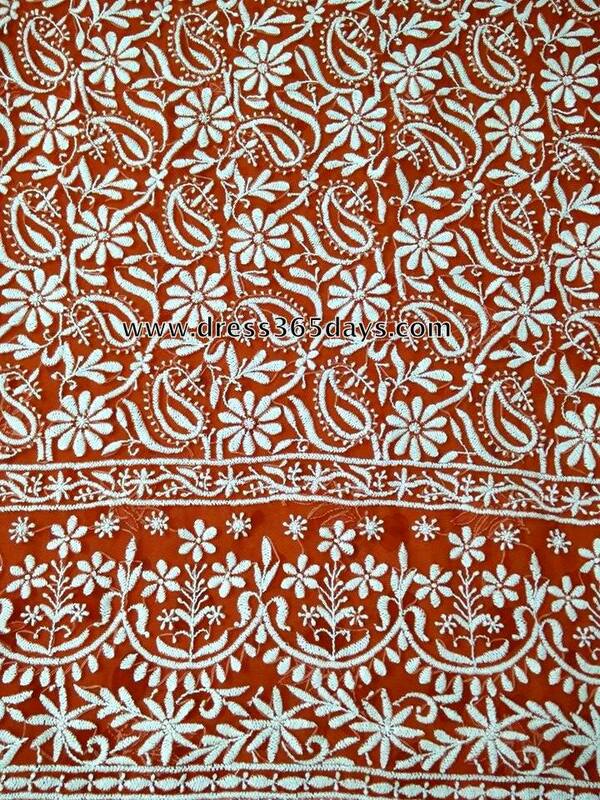 Also in television serials like Yeh hai Mohabbatein wherein Ishita Bhalla has been wearing georgette chikankari suits. 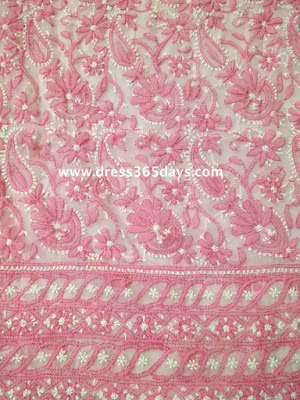 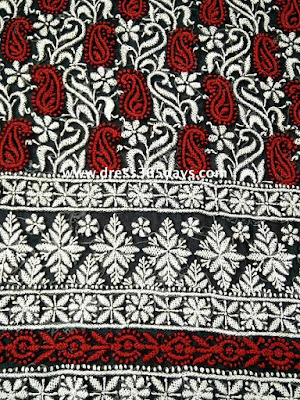 Chikankari fabrics are available as full suits( shirt dupatta and bottom) or only kurta fabric. 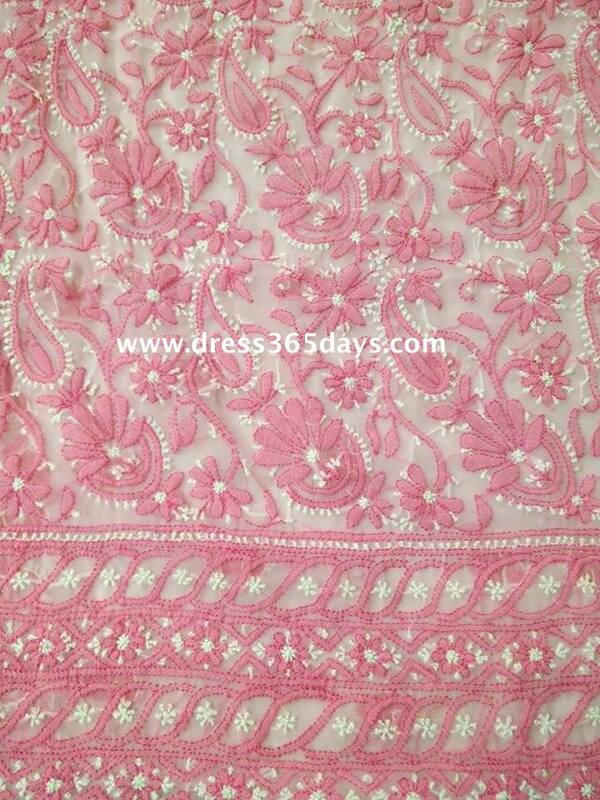 Only kurta fabrics can be mixed and matched with leggings and can be worn with or with our dupatta. 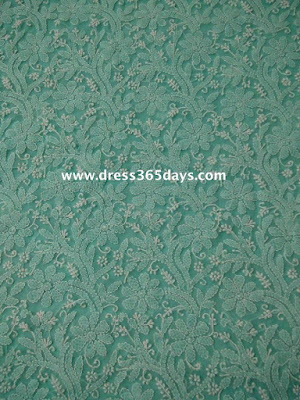 These fabrics can be maintained easily by mild Hand Wash.